Hawai‘i Volcanoes National Park, HI – Hawai‘i Volcanoes National Park is proud to announce a partnership with Mainstreet Pahoa Association and ongoing discussions to loan exhibit features from Jaggar Museum to a proposed visitor center site in downtown Pahoa. 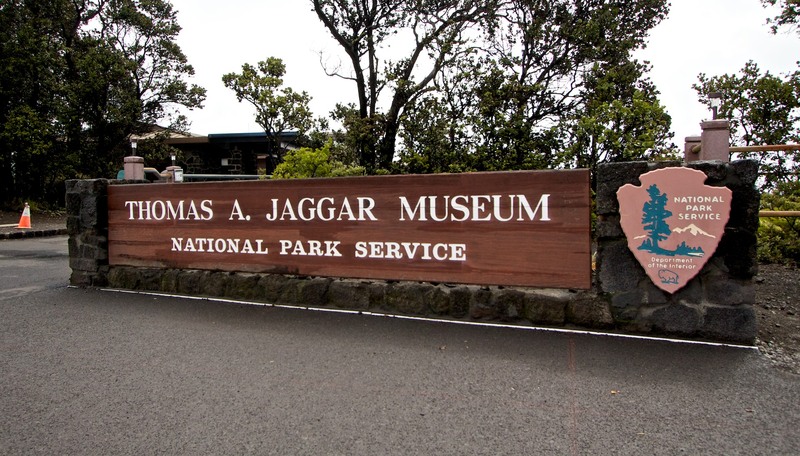 One of the most treasured visitor experiences in Hawai‘i Volcanoes National Park, a visit to the Jaggar Museum, may be a thing of the past. 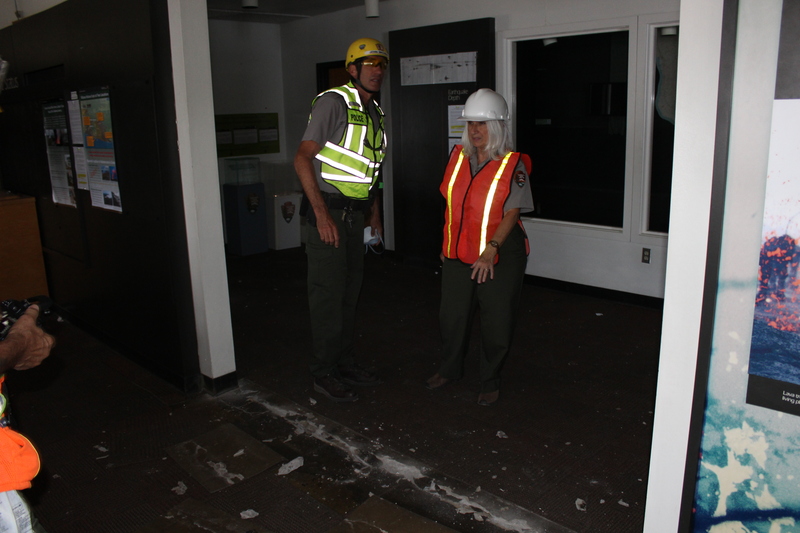 The building sustained significant structural damage after tens of thousands of earthquakes occurred from May through August. Recent assessments from National Park Service geomorphologists has determined the ledge on which the Jaggar Museum sits as “extremely unstable”, preventing future use of the building and grounds. In June of 2018, artifacts and some exhibit features were removed from the Jaggar Museum, as the volcanic and earthquake activity increased, damaging the building and surrounding area. However, many of the exhibit features, including wall mounted panels and displays, remained salvageable. Recently, the National Park Service was approached by a 501C6 non-profit group, Mainstreet Pahoa, who requested assistance in equipping a temporary visitor center in Pahoa. Originally installed in 1986, the Jaggar exhibits were scheduled for a complete demolition and replacement starting in 2019. The damage and instability to Jaggar, however, has halted this project. With no other viable locations to display the exhibits in the park, soon they could be on loan to Mainstreet Pahoa. Until it was destroyed by lava flows in 1989, the park had an entrance and visitor center serving the lower Puna community. Additional evaluation and planning are underway to determine a future volcanology museum experience in the park. It will likely take years and new funding for a new facility replacing Jaggar to open. No museum artifacts are included in this loan and no National Park Service funds are being used in this project. For more information on park recovery efforts, visit www.nps.gov/havo/recovery.htm. For more information on the Mainstreet Pahoa visitor center project, visit mainstreetpahoa.business.site/ or contact (808) 960-4555.